Don’t know where to start? 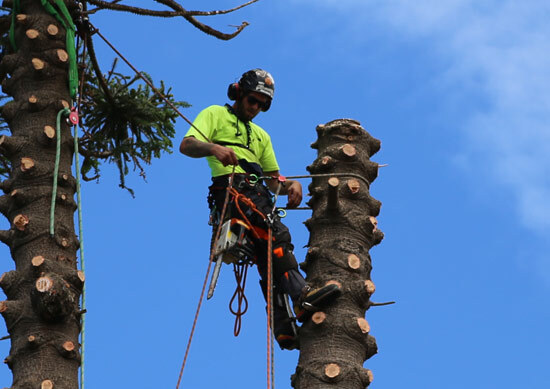 Cutting down these large statures can be a risky venture and should only be attempted by professional arborists with the right equipment, permits and skills. Most of the time you will also need to have Council Permission to remove a tree from your property. Shane’s trees are experts in their field and can help you determine weather your tree qualifies for tree removal. After having a tree removed from your property there will always be a stump left in the ground. This is also true if you have a rotten or diseased tree blow over in strong winds or other circumstances. Anyone who tried to remove a stump before knows this is a very difficult task as digging it out is nearly impossible, thanks to an established tree root system and burning is not always possible. Our arborist’s use a Stump Grinding machine for this task which is basically a large grinding flywheel connected to a powerful machine engine.